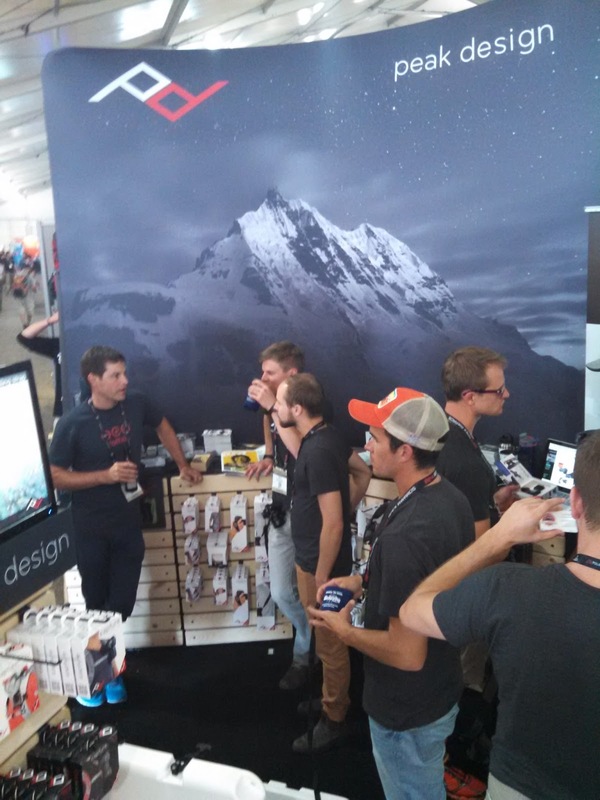 Well it is that time of year when equipment manufacturers, retail shops, and media converge on Salt Lake city for the annual Outdoor Retailer Summer Market. 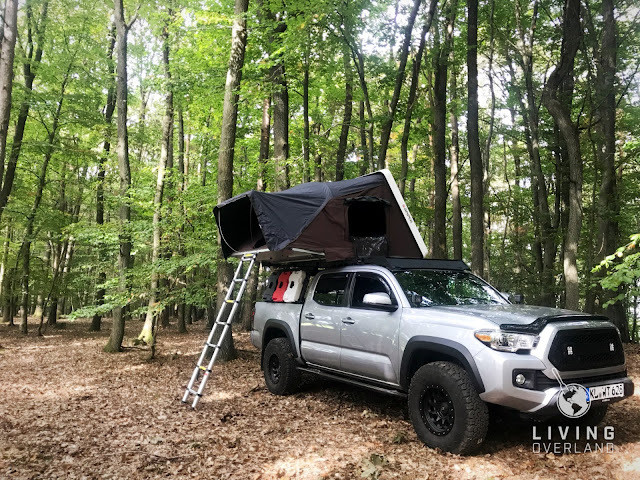 Touted as the largest outdoor sports show of its kind, the OR Summer Market is the place to find next year's hottest items and discover the latest trends in outdoor apparel, equipment, and gadgets. In years past, we have witnessed the explosion of paddle boarding, the evolution of tents, and the launch of start-up outdoor companies. The Outdoor Retailer Summer Market is so much more than just companies showing off their latest gear and apparel. Companies use the event to socialize and several events are scheduled throughout the OR Show. This year Krista and I decided to include these in our show coverage to help you get a better feel for what goes on at the show. 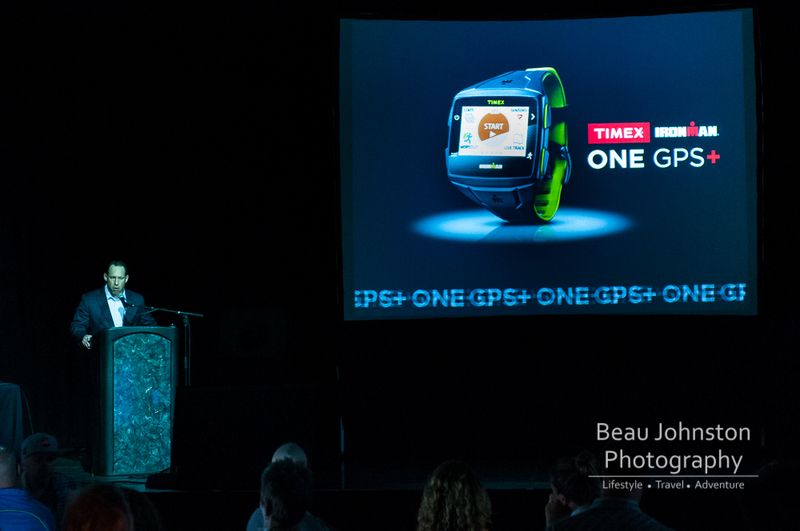 This year we started off the Summer Market with Timex's launch party for their new IRONMAN ONE GPS+ watch. Designed in conjunction with Qualcomm and ATT, the IRONMAN ONE GPS+ watch provides GPS fitness tracking, built-in music player, and phone-free communication through a color touchscreen display. The built-in connection to ATT's cellular network provides phone-free messaging and a host of other 'real-time' internet based fitness tracking without the need to connect the watch to a smartphone. 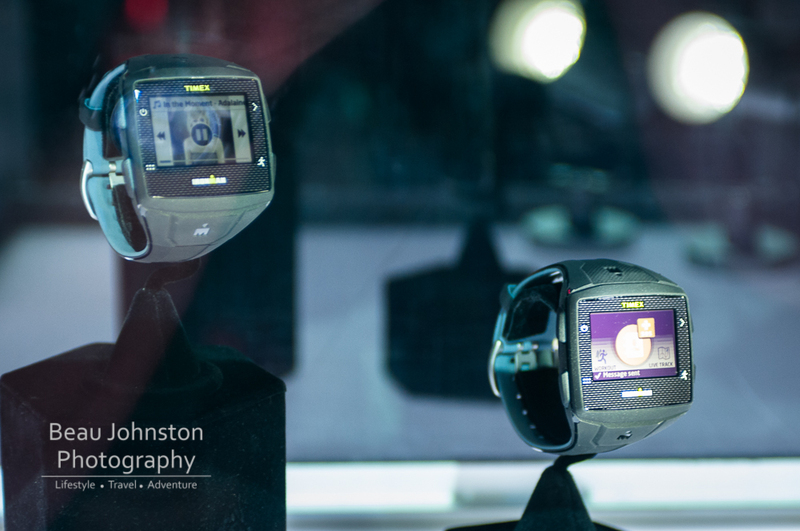 The IRONMAN ONE GPS+ will be available November 2014 and the base model will retail for $399.95 while the model which includes a heart rate monitor (ONE GPS+ HRM) will retail for $499.95. Both models include one year of mobile service. 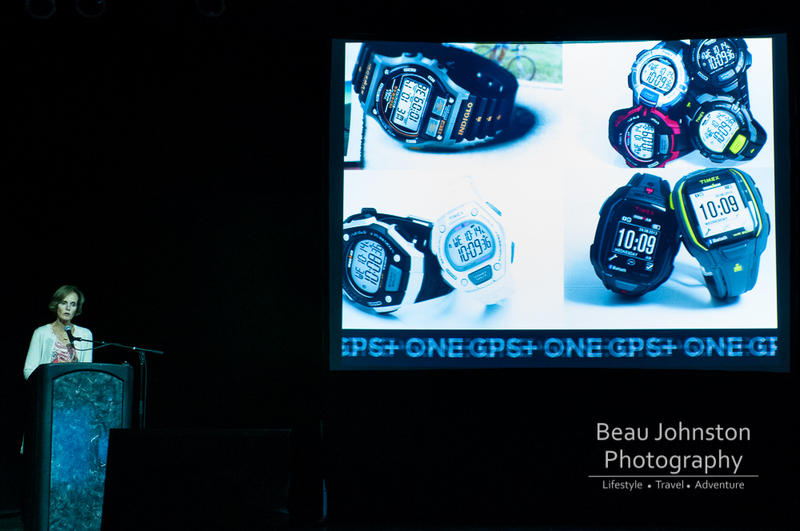 More information on the IRONMAN ONE GPS+ watch can be found by clicking here. 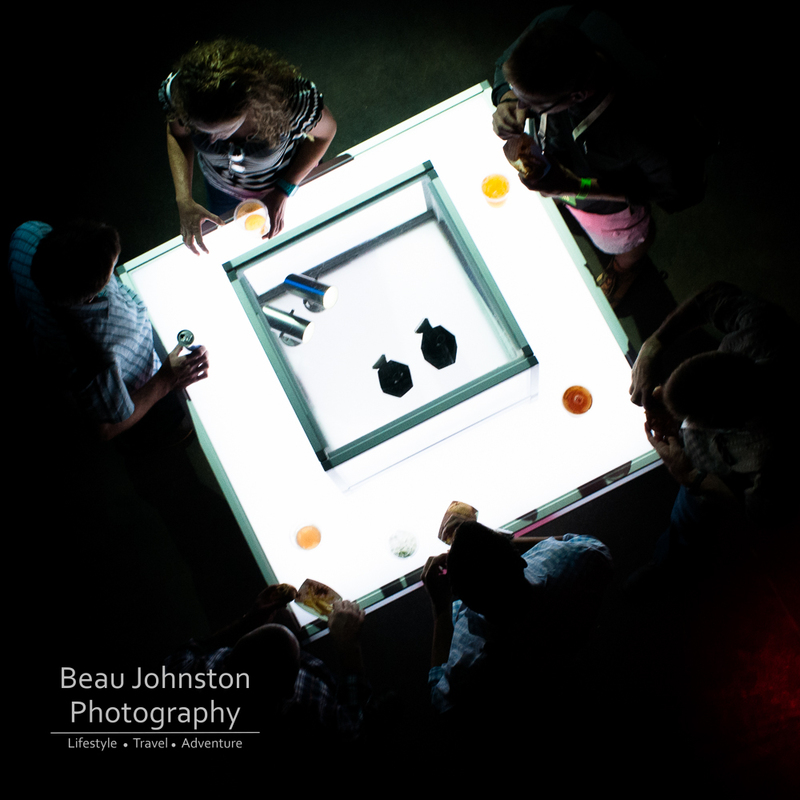 More images from the launch party can be found by clicking here. If you feed them they will come! BioLite fed the masses with their new BaseCamp stove on Wednesday morning. 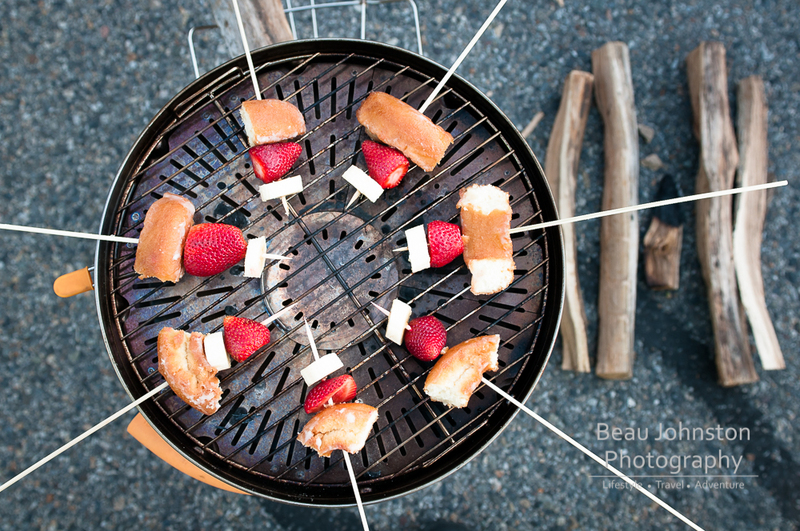 Banana, strawberry, and doughnut kabobs were grilled to perfection on the new stove. 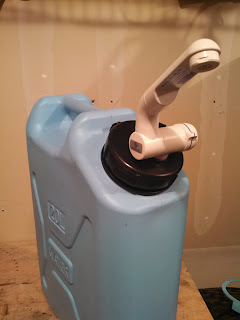 I hope we get a chance to put this bad boy to work. 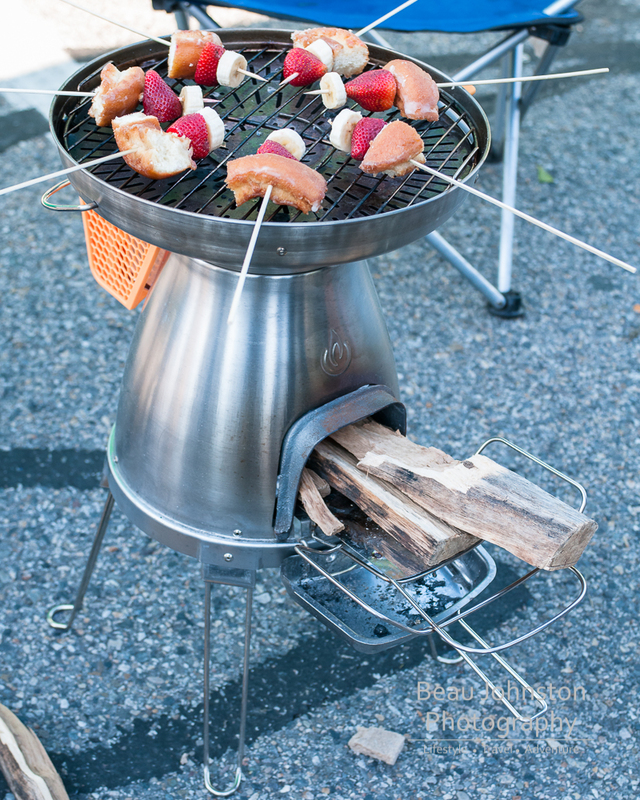 Being able to cook/grill while generating electricity would be great in the back country! The great food didn't stop with BioLite. 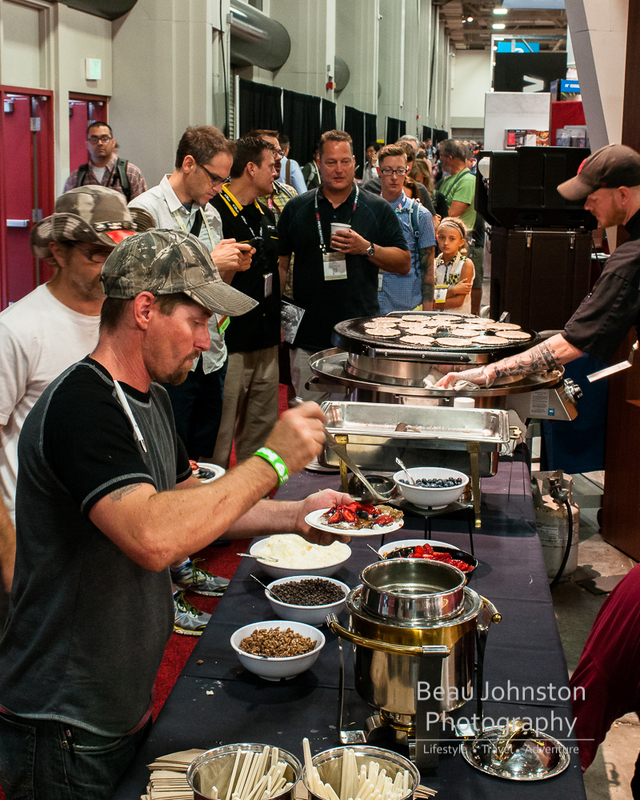 There were several equipment manufacturers serving up tasty breakfasts at the show. 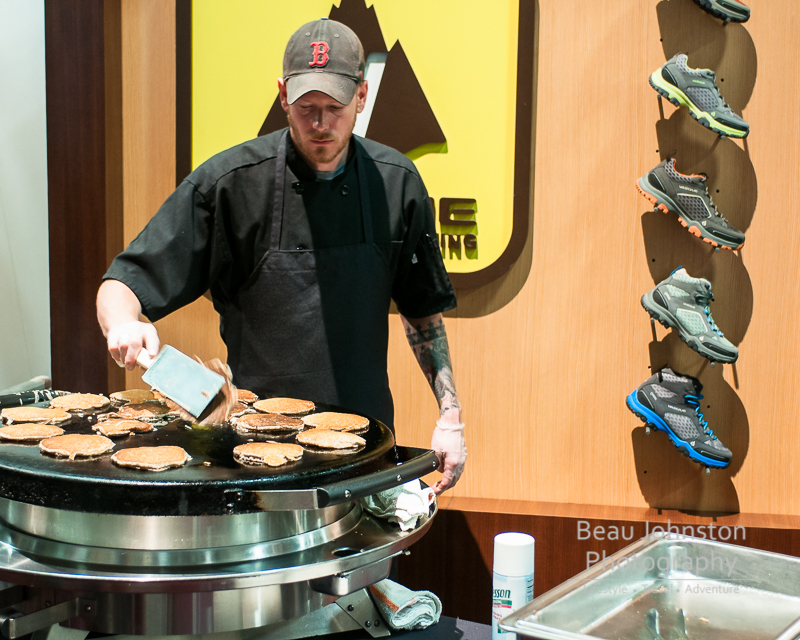 To celebrate 50 years in the industry, Vasque opened their 'House of Pancakes' and the line stretched for several booths as attendees waited for hotcakes. Do I need to say any more? I am sure that if you stop by any booth after 4:30pm you will be handed a beer and asked to hang out. This was true when we stopped by the Peak Design booth. This start-up camera gear company was displaying their new 'Slide' camera strap and 'Clutch' hand strap - available through Kickstarter. What a great group of people and great products; I was one of a lucky few to get pre-production samples of both and LOVE both of them! 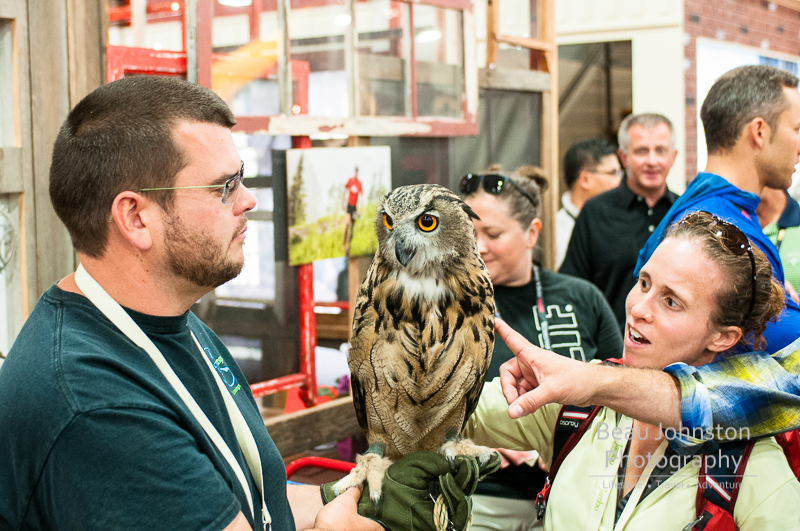 Earthwings, a Utah-based organization committed to educating people of our avian friends, took advantage of Happy Hour to captivate attendees with their tame Eurasian Eagle-owl, named Bubo, to raise money for their programs.